Application Deadline: Position open until filled. Full consideration will be given to applications received on or before June 6, 2018. 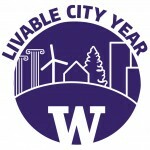 The UW Livable City Year (LCY) Report Editor is responsible for overseeing the written development of roughly 25 reports (roughly 10 per quarter) for UW’s Livable City Year initiative, a university-wide partnership with the City of Tacoma. 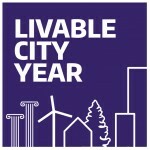 The LCY reports cover a diverse range of urban issues, including but not limited to: housing policy, pollution, storm water, homelessness, food justice, infrastructure, and environmental justice. The LCY Editor is responsible for editing, proofing, and the critical development of student written reports on a specific issue. Editors must possess an exceptionally strong command of the English language and have experience working with writers to develop their thinking in clear terms. Cogency, accessibility, and articulation are paramount. The editor is responsible for directly overseeing the editing process beginning with meeting and introducing students to the report writing process and expectations. The LCY Editor must be well-organized, a strong communicator in written and verbal formats, and be comfortable working independently and with teams, particularly in partnership with the graphic designer and program manager. This position is part-time; 15–20 hours per week. The hours vary depending on the stage in the report production process. The position runs through mid-September 2018, with an opportunity for rehire in the 2018 – 2019 academic year.